Happiness, fun, and celebration are the synonyms of Punjab because the people who are living in the state celebrate their life at the fullest. Apart from that, the real-estate sector in the state also booming. Nowadays, purchasing a home in the high society or posh areas of Punjab is quite difficult. Well, it becomes very tough for people to trust every developer. But, what if we suggest you buy homes from Hero Homes Mohali? Yes, we recommend their name because they are one of the best apartment providers in the country. 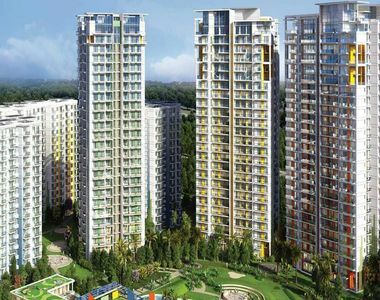 Hero Homes Mohali Punjab has 2BHK and 3BHK apartments with the added facility of the penthouses. The size of the apartments starts at 692 sq. ft. to 2834 sq. ft. They always make sure to give high-quality premium grade apartments with so many amenities such as high-end gymnasium facility, meditation centre, kid play area, sporty and athletic residents, basketball court, a jogging area, a tennis court, swimming pool, theatre, clubhouse, cricket pitch, zen garden, squash court, amphitheatre, and, pool deck. If you buy an apartment of this residential landmark then, these all facilities will be given to you. The company offers a one-stop solution to all the needs of customers. This group is not like any other real-estate company. End-to-end solutions for every problem of customers. They have hired professional and experts to take care of their clients. Separate professionals to help NRI investors. They go hand in hand with clients to meet every need. They consult NRI's buyer or investor. Bank and financer tie-up with the company for home loans. They advise customers before home loan through banks and financer. All your essential paperwork also helped by them. On all the aspects of a real estate, this is the most trusted brand. There is a separate team of this sector who help you on legal matters for those customers who are willing to invest in the property. Analysis of the property's legal situation. The company is working on the motto that whoever buy a property from them will satisfy after buying a property. That is the reason why they offer after sales assistance. 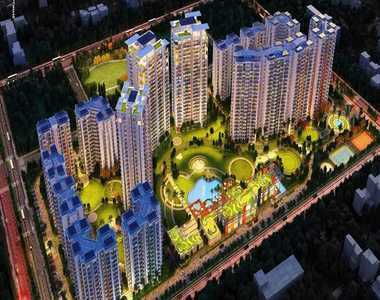 However, Hero Homes Mohali Price starts from 52. 40 Lacs and goes up to 2. 32 Cr. It is in the budget of every customer who wants to buy a luxury life. They give great facilities at an affordable budget. The price of the apartments is categorized according to their BHK and carpet areas. Pent House 2834 (Carpet Area): Rs. 2.38 Crs. So, go hurry and book your apartment right now!